Are you aware of your competition when you run an email advertising campaign? Email advertising is a process whereby a product, business and/or service is promoted utilizing email as the means of communication. Usually, developing a rapport with an email list involves emailing out promotions from time to time, as well as offering some valuable information about your industry — like advice or guidance. Email advertising has been successfully employed by lots of companies for years, and it is here to stay. When properly utilized, it is still very good at generating sales for businesses all across the planet. Nonetheless, some businesses are not getting great results from their email advertising campaigns. Quite simply, this is because they have failed to plan correctly prior to implementing this strategy. For example, many companies do not take the time to see whether any of the competition are employing email advertising. Even if the relevant competitors are identified, it is rare that much will be done to determine how this tactic is being used. Should you be intent on adding email advertising to your advertising portfolio, it is essential that you identify the best local internet marketing competitors who are currently utilizing this tool. 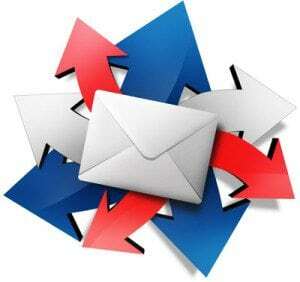 Doing this will considerably help you in developing and implementing your own email advertizing tactics. This ought to be simple. You can begin by browsing a few of the websites of your competitors. Are they using an email capture form, where website visitors can subscribe to their loyalty club, newsletter or email list? Do their other advertizing methods, like television commercials and flyers, use a call to action that motivates customers to subscribe their loyalty club, newsletter or email list? Are they employing initiatives within their establishment that are designed to encourage their clients to subscribe to their loyalty club, newsletter or email list? Should this be the case, then you ought to watch these competitors very closely when you are planning and implementing your own email advertizing campaigns. Your aim is to gain an edge over your competitors by attracting your local clients back to buy from you on a regular basis — rather than have your clients look elsewhere. After you have found your competition, you can examine their campaigns and tactics more closely. You are all competing for the same clients, and you could easily lose out if you fail to correctly employ the full potential of email advertizing. Email advertizing is essential with regards to generating recurring revenue and referrals from local clients. Thus, you have to do your research to be successful when employing this invaluable advertizing tool. Do your email advertizing campaigns really generate extra leads, clients, and revenue for your company? Or, are you lagging behind, because you have not yet even begun your email advertizing efforts?